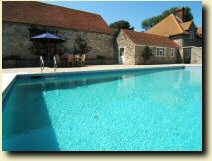 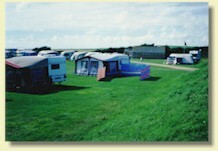 Self catering cottages and apartments in a stunning rural location near to Whitwell, Isle of Wight. 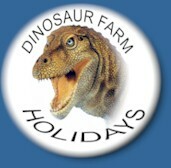 Lower Sutton Farm, also known as "The Dinosaur Farm" is situated on the South side of the Isle of Wight on the main coast road, about three miles South-East of the village of Brighstone between Isle of Wight Pearl and Atherfield Bay Holiday Centre. 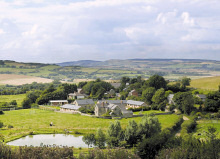 We are a small friendly, family farm, with sheep, horses, ducks and, of course, dinosaurs! 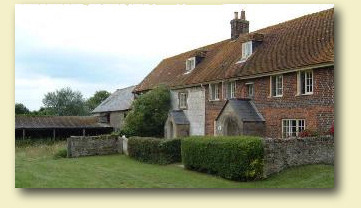 Set on the edge of the beautiful River Yar estuary in Freshwater in the farm yard of a privately owned 17th century manor house sits Kings Lodge.